Dr. Chhaya Shastri, Director, MT Educare shares the challenges of her journey into making the Robomate+ app. What triggered you to come up with an online tutorial app? This all began in 2007-2008 in our classroom where we replaced our classroom blackboard with an audio visual media. There is usually a retention level of 50- 60 per cent, but when a student interacts, the retention becomes 70- 80 per cent. A student will not have access to what was taught to him 5 month back at the time of his examination and has no access to what was learned. So we thought why not capture the lectures and give this as a revision tool. Following which we observed grade enhancement at the end of the day, week and so on. So there was a science to it and based on this science what we decided is that we should give access of this content to our own students. Later we saw our own students doing well, and thus struck the idea of making the content available for everybody. But as we know India is a country where so many apps are downloaded. Out of the World Statistics, only 9 per cent of the world app downloads is happening in India. 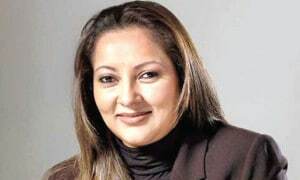 Because our literacy level is so poor- only 71 per cent, we considered giving advantage of this medium to places with scarcity of teachers and schools like the villages where children could buy an internet connection in a local Gram Panchayat or Zillla Parshad and could hence study on this app. Besides, studying on ‘Robomate+’ is easy on pockets too at a price of Rs 3000- 4000 which is a miniscule amount compared to the subscription that will cost one in a month to see high definition videos. 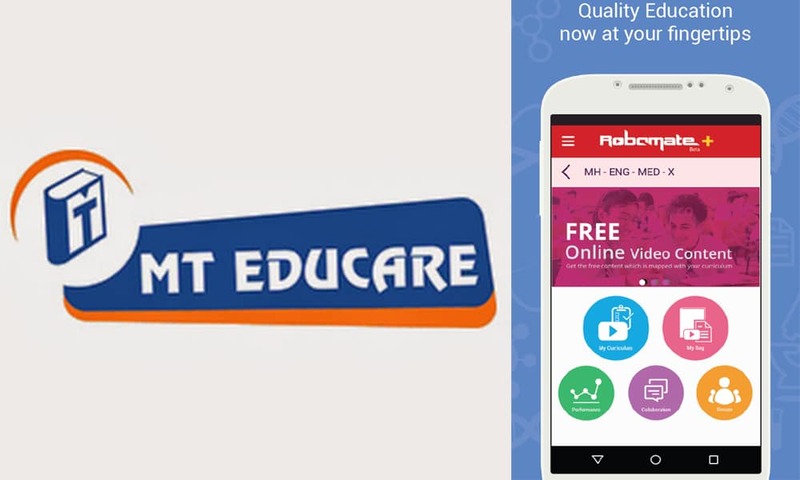 How is Robomate India’s largest video platform for students helping them prepare better for exams? Assessment is a very big part of Robomate. A child looks at a 5-7 mins learning module and immediately asks questions. Therefore it gives room to assess the level of understanding of the child. It can also be ‘one- to -one’. For instance a child see the module and immediately sees the assessment. In institutions, we are recommending flip classroom which means that the child can see this module previous day at home, does the home test and comes to school and then the teacher teaches the same topic and he does another test. Then, all these tests sync on teacher’s app which lets her grade student’s performance. But if a child is studying one-to-one with Robomate home, he can access solutions of the wrong answers that get displayed on the app , thus allowing him to self-study. What were the challenges you faced while making this app? Firstly, curriculum wise we had to know the classroom experience, obstacles a child faces and what are his difficulties in learning. A lot of expert teachers sat down and exchanged each other’s experiences. So collectively the expertise of so many faculties teaching the respective subjects have gone into making Robomate+. Secondly the curriculum is dynamic. So it was necessary to have our own in-house teachers to immediately address the changing curriculum needs. Therefore I would say that this is not an IT based software which is a one time job: it is flowing in process and dynamic in nature. Children’s level of multiple intelligence change and so do the methodologies. For example, in the beginning State Board was the only medium of education, but now we have innumerable boards like the IGCSG, ICSE, CBSE, IB to name a few. Consequently, with the change of methodologies, learning is becoming experiential and to create Robomate+ on the background of so many variable factors is the key. How do you see penetration of online education in India so far? Today every single village has a small or some kind of smartphone. Infact in my opinion gradually use of tablet will skip too and education will only happen on smartphones. 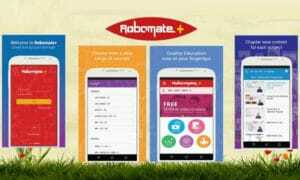 In what ways will you distinguish Robomate + from the already existing education apps in the market? Well, Robomate is not just an app. When one records lectures and they are available on google freely, it is in an app form. But Robomate is a component of Robo administration. It is an ERP (Enterprise resource planning) system that can collect data of an enrollment of a student, Unique ID number, students’ marks, and their attendance in an administrative wing. It also has ‘Robo Assessment’ which means that the exam papers can be generated as per chapters like simple, medium or difficulty level depending on a child’s ability. This is called adaptive learning. Thirdly in ‘Robo Analytics’ the marks that are scored in multiple choice questions of the same day and tomorrow will give him the information if he is good in one section like concept but not that apt in analytical ability, to help him understand his weak areas in studying and where he has to improve. Other than this there are other benefits like the ‘Robo Books’ where books can be digitised on that platform and ‘Robo Reposite’ where one can create his own content and simultaneously record his teacher’s lectures and lastly the ‘Robomate Mobile App’ where the same content can be transferred onto their mobile app. This henceforth becomes a one stop solution for the institution as there is one activity that is called ‘Robomate Collaboration’ which means one’s own parent, one’s own teacher and one’s own student can be on that platform for collaboration to share and upload his own content and download content freely on an institutional basis.